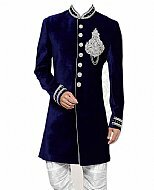 Modern Pakistani sherwani is the latest fashion in sherwani suit designs. 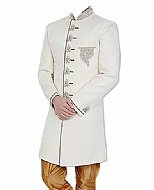 We have a great variety of new sherwani dresses for men at our online website. 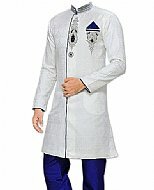 Modern groom dress is a longer coat with pants, shalwar or churidar pajama as bottom. 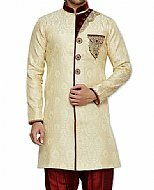 Our latest sherwani suit is hand made with the finest embroidery over it. 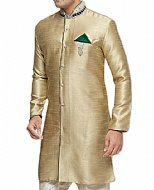 These designer sherwani dresses are worn on special occasions. 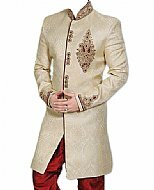 Buy the latest online Pakistani sherwani dresses at affordable prices. 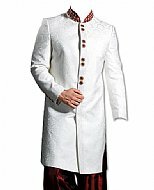 Find great deals in mens fashion suits. 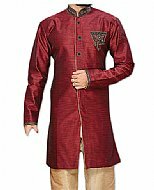 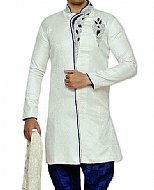 Modern sherwani dress, also called Indo western suit, falls on or above the knees. 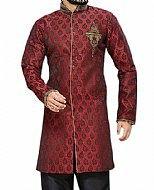 We use fancy banarsi fabrics like brocade and jacquard. 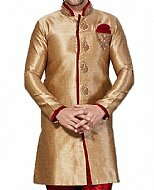 Men would love to wear modern sherwani as a formal dress on any special occasion. 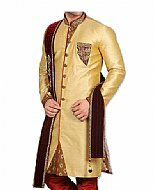 Visit our blog about Pakistani dresses. 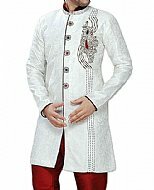 There are different types of fabrics used for designing Pakistani sherwani for the gooom. 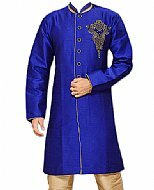 We can make this dresses on your request. 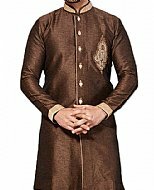 You can choose from our standard sizes or use our custom size form to enter your own sizes. 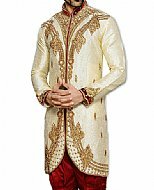 We make sherwani suits especially for you considering your unique requirements and sizes.